HC takes a look at how Foxtel's award-winning strategies have used entertainment to engage staff and inspire them to take a lead role in transformation. Media conglomerate Foxtel brought show business into the workplace with an award-winning multi-dimensional campaign to boost the company’s business growth, which saw it pick up the Best HR Strategic Plan in last year’s Australian HR Awards. HC Online sat down with former Foxtel Executive Director of People and Culture (now Executive Director - Customer Experience) Emma Hogan to get the inside scoop on how the award-winning HR team put strategy into action. Faced with slowing growth and declining customer advocacy, Foxtel decided to rejuvenate the business and its HR team rose to the challenge of implementing the biggest changes in the company’s 19 year history. This entailed delivering five programs of work over a 12-month period to stimulate business growth and customer advocacy, reduce churn (cancelled subscriptions) and transform the Australian entertainment landscape. Foxtel’s People and Culture department took a lead role in harnessing the power of the company’s entire workforce to motivate and inspire staff to take the lead role in Foxtel’s transformation. “We’re a storytelling business, so we wanted to develop a change program that brought the five programs of work together in one coherent and entertaining story to engage employees,” Ms Hogan says. “We knew we would only succeed in change of this scale and complexity if each of these 5,300 people knew where Foxtel was going and why, our leaders were equipped to articulate the changes for their teams, and our people understood their role in it,” she says. 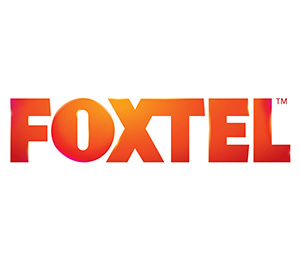 Foxtel’s creative team then developed the concept of the “Next Episode” to engage staff in the growth program and support the business to drive consumer growth and advocacy, and reduce churn (cancelled subscriptions). Strong leadership played a vital role in implementing the objectives for the “Next Episode” change program, as team leaders collaborated to engage, motivate and support employees. Hogan says Foxtel employed a top down and bottom up engagement with its people and equipped leaders with the information they needed to talk to their teams in a clear way. “We had extensive learning and development programs to help our people understand the complex messages and on the job coaching and set clear milestones to celebrate our successes along the journey and helped our people understand what they had achieved,” she says. She highlights the importance of strong leadership and robust teamwork to ensure the organisational goals and objectives are clearly aligned. Hogan says successful deliverance of five significant changes couldn’t have been possible without the support and enthusiasm of Foxtel employees. “Our challenge for “The Next Episode” was to ensure that all our 5,300 people not only had the skills and capability to deliver a smooth customer experience, but that they felt engaged, supported and connected to our vision, strategic objectives and company values throughout the change,” she says. Nominations for the Australian HR Awards this year will open on 18 april 2016.